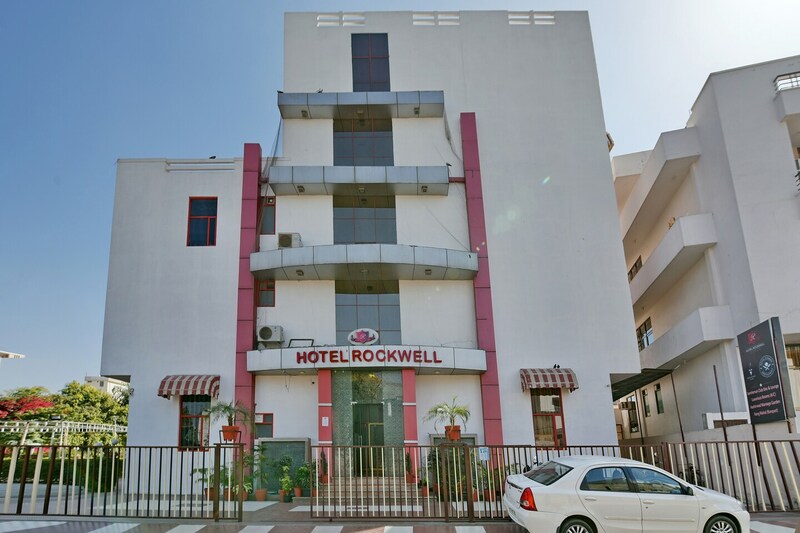 Hotel Rockwell is a simple and comfortable stay with well-designed interiors to amuse various leisure and business travellers in this city. The spacious rooms are well lit, pleasant and comfortable with wooden furnishing, and a combination of yellow scheme decor give out homely vibes. The guest can avail the facility of free Wi-Fi to connect with the internet for latest updates. The in-house restaurant serves fine dishes to the residents and adds convenience. The banquet hall is available for various events that the guests might want to host. Rajasthan Polo Ground, Birla Auditorium and Central Park among various tourist hangout spots are near the hotel ensuring a happening stay.